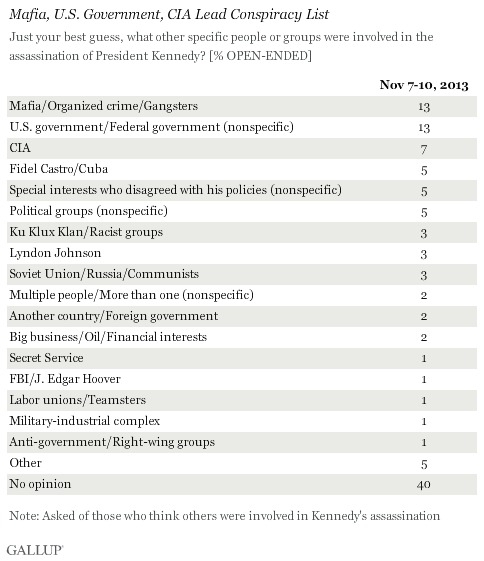 In three main ways, the JFK murder still has repercussions for Americans and the world. It also has a unique place in my life. First, had the assassination attempt not succeeded, arguably neither the Vietnam War nor the Great Society expansion of government would have afflicted the United States as they did. The Virtual JFK: Vietnam If Kennedy Had Lived project concludes that "JFK would have continued to resist a US war in Vietnam. Even though the Saigon government, weak and corrupt, was destined for the dustbin of history, he would have resisted those calling on him to send US combat troops to Vietnam. He might have ended all military involvement." As for government expansion, American historian Don Keko writes that Kennedy "lacked Lyndon Johnson's legislative abilities which would have doomed much of what became known as the Great Society. … Without the Great Society, the nation does not experience massive budget deficits and the economy would have been stronger." Second, Kennedy's assassination profoundly impaired American liberalism. James Piereson's 2007 book Camelot and the Cultural Revolution (Encounter) establishes how liberals could not cope with the fact that Lee Harvey Oswald, a communist, murdered Kennedy to protect Fidel Castro's control of Cuba. Kennedy died for his anti-communism; but this wildly contradicted the liberals' narrative, so they denied this fact and insisted on presenting Kennedy as a victim of the radical Right, reading Oswald out of the picture. Piereson ascribes much of American liberalism's turn toward anti-American pessimism to this "denial or disregard" of Oswald's obvious role in the assassination. "The reformist emphasis of American liberalism, which had been pragmatic and forward-looking, was overtaken by a spirit of national self-condemnation." Blaming American culture writ large for Kennedy's demise changed liberalism's focus from economics to cultural equity (racism, feminism, sexual freedom, gay rights) and that led them to identify with the countercultural movement of the late 1960s. The result was what Piereson calls a "residue of ambivalence" toward the worth of traditional American values. Liberals remain trapped by this distortion, as manifested by, for example, Michelle Obama's 2008 remark that with her husband's ascent, "For the first time in my adult life, I am proud of my country," or by a New York Times article this week that blamed Dallas conservatives, rather than a hard-Left drifter, for the JFK assassination. Third, the Oswald-Ruby catastrophe created an abiding fascination with crazy conspiratorial ideas among otherwise sane people. Indeed, a recent Gallup poll asked "Do you think that one man was responsible for the assassination of President Kennedy, or do you think that others were involved in a conspiracy?" In reply, 61 percent said others were involved and only 30 percent said one man. No less striking than this 2-to-1 ratio is that, of those who think others involved, a mere 8 percent point to Castro, Cuba, the Soviet Union or other communists as the culprits. As Gerald Posner lamented in his definitive 1993 study, Case Closed, "The debate is no longer whether JFK was killed by Lee Oswald acting alone or as part of a conspiracy – it is instead, which conspiracy is correct?" The only shred of good news is that 61 percent conspiracy theorists is the lowest number in over forty years. Perhaps Posner, Vincent Bugliosi, and others will eventually prevail over the revisionists. 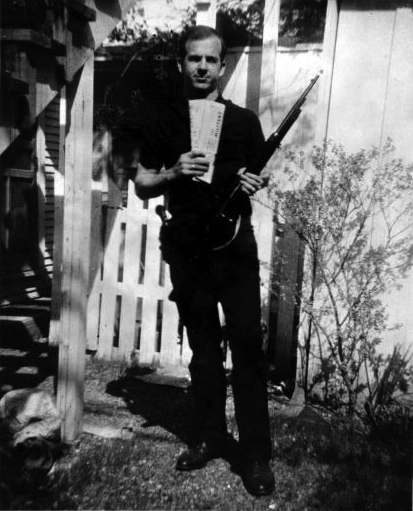 Lee Harvey Oswald and his gun: read out of the picture by liberals. Finally, on a personal note, memories of Friday, Nov. 22, 1963, remain vivid. The news of the 1:30 p.m. EST assassination was whispered around a study hall at the Commonwealth School in Boston. To the students' surprise, Ellen Kaplan's 9th grade biology class not only took place but we even had to endure a test. After some dismal hoops in the gym, I tried to buy a newspaper but the lines were too long. At home, my family joined the country in silently watching television news. Although I previously had tallied the 1960 election and watched the 1961 inauguration, the assassination drama was the first political event to affect me emotionally. Indeed, so deep and lasting was its impact that even today – and despite all since revealed about Kennedy (including his sordid qualities) – that day still gives me chills and makes me teary, a visceral response to a political event never again repeated, even as Vietnam and the Great Society marched me rightwards. And so was the tragedy of Nov. 22, 1963, both national and intensely personal. Mr. Pipes (DanielPipes.org), president of the Middle East Forum, is the author of two books on conspiracy theories. © 2013 by Daniel Pipes. All rights reserved. Nov. 22, 2013 addendum: For all my work on this topic, see "Bibliography – My Writings on John F. Kennedy." Related Topics: Conspiracy theories, History, US policy | Daniel Pipes receive the latest by email: subscribe to the free mef mailing list This text may be reposted or forwarded so long as it is presented as an integral whole with complete and accurate information provided about its author, date, place of publication, and original URL.